CBD effectively fights anxiety and improves quality of life. Cannabidiol, more commonly referred to as CBD, is one of 113 specific cannabinoids found in the cannabis plant. It has many health benefits, known to effectively treat anxiety, joint pain, epilepsy, insomnia, and other serious medical conditions. HelloMD and Brightfield Group, a market-research firm reported that 80 percent of the 2,400 CBD users who responded to their survey found CBD either “very effective,” or “extremely effective” for treatment. Furthermore, the study found 52 percent of the 2,400 CBD users claimed CBD was “more effective,” or “much more effective” than traditional pharmaceutical drugs. People use CBD for diverse reasons, according to the study. There have been several studies suggesting that CBD is an extremely helpful and natural way to relieve symptoms of anxiety – the most common mental health disorder in the US. Nearly 20 percent of adults – 40 million people over the age of 18 – struggle with anxiety disorders in the United States. Though there have many over-the-counter drugs for treating anxiety, CBD is known to relieve this mental disorder naturally. CBD is a non-intoxicating and naturally-occurring cannabinoid that is extracted from the flowers and buds of the cannabis plant. It is far less popular than it’s psychoactive brother tetrahydrocannabinol (THC). CBD does not that produce psychoactive effects – or the ”high” – caused by tetrahydrocannabinol (THC). However, just because CBD doesn’t get you high, does not mean it isn’t a potent compound. The medicinal properties of CBD are widely believed to far exceed those of THC. A 2011 study found that when people with generalized social anxiety disorder consumed 600mg of CBD oil before a public speaking test, they experienced significantly less anxiety during their speech. CBD interacts with our body in various ways. It mimics and augments the effects of compounds known as endogenous cannabinoids that our body produces naturally. These “endocannabinoids” form a part of the regulatory system called the endocannabinoid system. The endocannabinoid system is responsible for maintaining many physiological functions, such as digestion, pain, sleep, immune functions, etc. In short, this system keeps our bodily functions balanced. When people consume CBD, it affects the activity of ion channels, enzymes, and receptors within the ECS. One target of CBD is its activation of the 5-HT1A receptor. 5-HT1A is a sub-type of the serotonin receptor – an important receptor because depression and anxiety can be treated with medications that target the serotonin system. That’s the reason many pharmaceutical companies developed Selective Serotonin Reuptake Inhibitors (SSRIs) such as Prozac and Zoloft. SSRIs block serotonin reabsorption in our brain and increase the availability of serotonin in the synaptic space. Consequently, brain cells transmit more serotonin signals, which reduce anxiety, boosting mood in many cases. The 5-HT1A receptor is a target of many antidepressant and anti-anxiety drugs. This means that CBD produces similar effects to anxiety medications, without causing negative side-effects. CBD, when used in combination with THC, offers antidepressant effects, which regulate your thinking process and emotional response. When you ingest CBD, it activates 5-H1A receptors and enables the brain to send more serotonin signals, thus reducing anxiety and boosting mood. Also, CBD can stimulate hippocampal neurogenesis, a process which regenerates a person’s hippocampus. This is essential because people who are suffering from depression and anxiety often lack a hippocampus. A report published in the Mental Health Daily suggests that CBD can positively affect our nervous system after a traumatic experience. CBD, when ingested shortly after a traumatic event, resets the nervous system of our body. It further relieves tension and prevents the development of chronic anxiety symptoms. This, paired with neuroprotective properties of CBD, helps ensure that both your nervous system and brain remain healthy for a long time to come. Phobias are often associated with fearful memories and traumatic experiences. A report published in 2017 confirmed that CBD reduces learned fear response and could be helpful for patients suffering from phobias and post-traumatic stress disorder (PTSD). Another study revealed that CBD acutely decreases fear expression, disrupts memory reconsolidation, and enhances fear extinction – all common causes of anxiety. Preliminary studies have found favourable results for CBD as an effective natural treatment for sufferers of insomnia, thought to be in the way it interacts with the body’s endocannabinoid system. Nearly 70 million people in the US alone, suffer from insomnia, insufficient sleep or some other sleeping disorder. CBD has been proven to help with certain sleep disorders without any side effects. CBD can be obtained in two forms – pharmaceutical CBD and CBD oil. Last year, the U.S. Food and Drug Administration (FDA) conceded CBD as a real medicine by approving Epidiolex. Epidiolex is an almost pure pharmaceutical CBD formulation, known for treating severe pediatric seizure disorders, Dravet syndrome, and Lennox-Gastaut syndrome. In response to the FDA’s remarkable decision, the Drug Enforcement Administration (DEA), in September 2018, removed Epidiolex from Schedule I classification. Thus, Epidiolex would be considered as the least dangerous CBD under the Controlled Substances Act. Only the pharmaceutical CBD is officially considered as the good cannabinoid, while the rest of the cannabis plant is still classified as dangerous and illegal, according to the law. However, the costly price for Epidiolex prevents millions of Americans without health insurance from accessing this drug. Those who can’t obtain pharmaceutical CBD can use CBD oil products. These products vary in levels of CBD and THC and are available for smoking and vaping at marijuana dispensaries in areas where cannabis is legal for therapeutic use. Are there risks from using CBD? CBD oil is a natural medication. It is generally well-tolerated and considered safe. 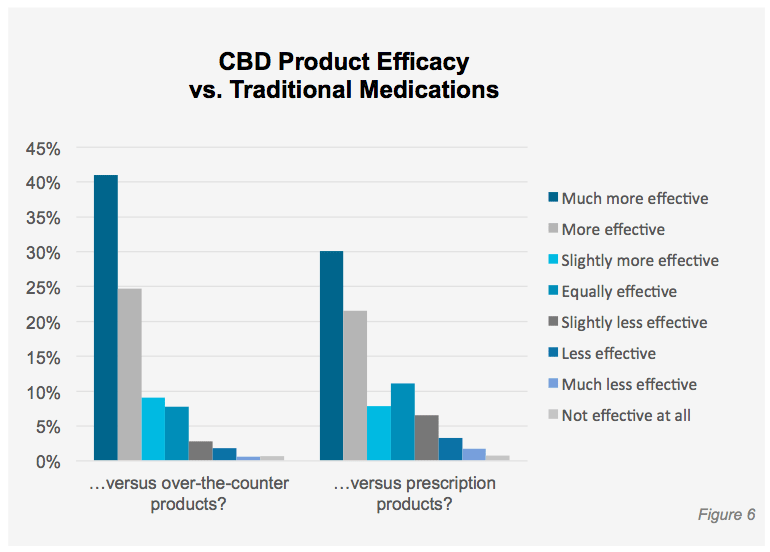 At recommended dosages, CBD appears to have a very low-risk profile. The adverse effects of marijuana are associated with THC, rather than CBD. While some anxiety sufferers may experience side effects while experimenting with CBD to find their optimal dose, the effects usually become tolerable after 2-3 weeks. CBD oil may have side effects, including bloating, dry mouth, diarrhea, and low blood pressure. CBD, in general, has been backed up by studies concluding its medicinal benefits for a range of conditions. There is hardly any serious argument against its therapeutic effects, and its absence of psychoactive activity make it attractive for proponents and medical groups alike. Though there have been several studies suggesting CBD’s effectiveness in the treatment of anxiety disorder, the full potential of the drug remains unclear, as more long-term studies are required. For people who can’t find relief with standard anxiety medications, CBD is a potential alternative solution. People considering CBD for anxiety should consult with their doctor to help determine the right dose and research the laws in their areas.